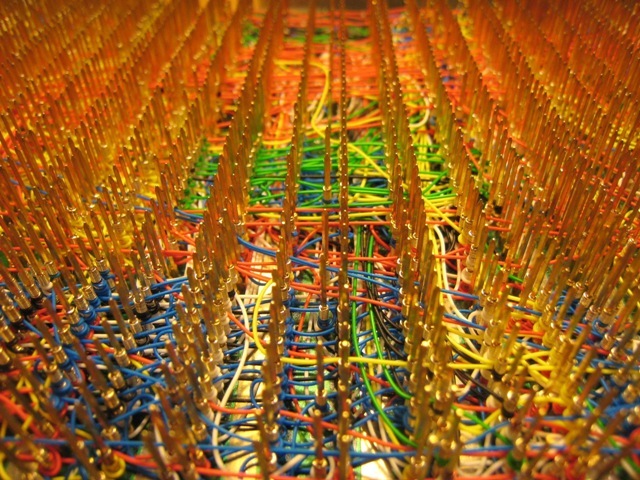 An 8 bit CPU built out of wires. This is mad crazy nerdy. I remember having to code a 12 bit CPU in verilog for a digital design class in college. It was absurdly complex, but very fun to do. But that was also instantly loaded into a solid state FPGA. Magic. But building a CPU out of wires using 1970's vintage parts? Wow. That's something else. By hand! Good lord. LOL... it really is like.. the year 2000 now.